For every one technician entering the field, three are leaving. So when you find your company is shorthanded, finding techs to fill those empty positions can be a difficult task, not to mention the fact that you don’t just want techs merely qualified for the work, you want the best techs out there. You want employees committed to your company and your customers, whose workmanship and customer service skills are above average. We have many different services used to market to techs looking for jobs in your area, as well as techs in other towns that are ready to move to your area. We also have ways of screening these applicants to make sure that the person you hire will be a perfect fit for your company, so you don’t waste time hiring and training the wrong people who won’t stick around or benefit your company. Below are some of the options available currently. 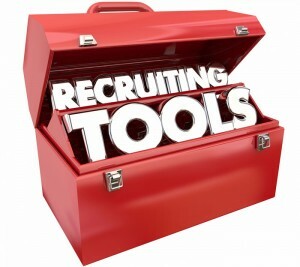 You can mix and match which services will work best for your company and its employee recruitment needs. Contractor 20/20 has over 20 years of experience in advertising for plumbing, heating, and electric companies. Over the years we have fine tuned our marketing systems, and have learned a great deal about contracting businesses. We know that employees are the heart of your company and can make or break your business. Our Employee Recruitment Program is designed to help you find the right people to hire for your company who will do outstanding work, offer excellent customer service, and leave both you and your clients satisfied. Sometimes it is hard to know where to start, and where the right places are to look for the techs you need. We want to make this process easy for you. Our system helps target the techs that are qualified and ready to work for you. Once we find them, we execute a marketing program consisting of the services that you choose from our list that will help draw in these techs to apply for open positions at your company. The more qualified, reliable, hardworking techs you have, the easier it is to sustain, if not grow, your business. With the right techs, your jobs can be done faster and more efficiently, your customers will be happier with your services, and your company’s popularity will grow and acquire more and more business. The employees you are waiting for are out there looking for a company like yours right now. We are here to connect the dots. Sign up today and send your company down the path to growth and success! For more detailed information about these Employee Recruitment Program services or to get started contact us!